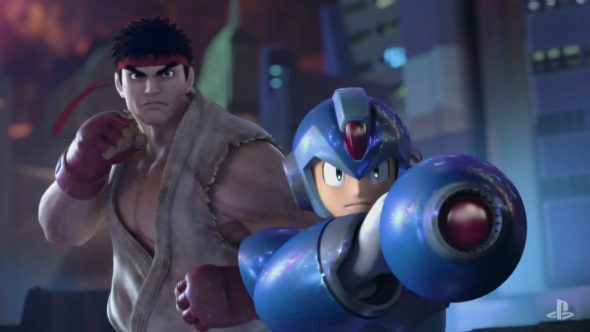 Update December 4, 2016: Get your first glimpse of the gameplay in Marvel vs Capcom Infinite above where Iron Man and Captain Marvel go up against Ryu and Megaman X, released during the Capcom Cup stream last night. For more great games to keep your eye on the horizon for, here are the best upcoming PC games. Original Story December 3, 2016: Marvel vs. Capcom is making its return this year with MvC Infinite bringing your favourite fighters from comics and games together for up to 2v2 scraps. The trailer opened proceedings at the now annual PSX show, with a 2017 date at the close, and will definitely (definitely) be coming to PC near the end of the year. The trailer shows Iron Man and Captain Marvel picking a fight with Megaman and Ryu, which is kind of stacked in their favour to be honest. Even I reckon I could beat up Megaman. The little dweeb. Rumours suggest Marvel are gonna fill up the roster with their Cinematic Universe, which sadly doesn’t include X-Men, but does include that racoon from Guardians of the Galaxy so guess what’s definitely going in there. What we DO know is everything in Sony’s little announcement post, including 2v2 battles, Captain America, and multiplayer with spectator modes.